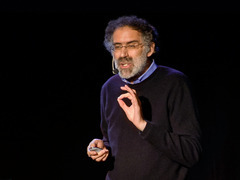 Mitch Resnick: Let's teach kids to code Fluency, Resnick proposes in this TED Talk, comes not through interacting with new technologies, but through creating them. The former is like reading, while the latter is like writing. He means this figuratively — that creating new technologies, like writing a book, requires creative expression — but also literally: to make new computer programs, you actually must write the code. These are all great places to learn how to program. But you forgot http://www.LearnToProgram.tv … Mark Lassoff and the other instructors are great at teaching beginners! My favorite, hands down! A really cool website to start programming will be http://www.turtleacademy.com , Vary simple and user friendly will teach you all the basic you should know about programming. I’m working on a project that brings together online programming resources in an easy-to-navigate format. There are additional great resources from sites like Lynda, Pluralsight, LearnStreet, etc. The site is available at http://www.everpath.org and feedback is definitely welcome! If you want to stick 100% online, these are some okay options, especially codecademy, but if you need more than a link and a prayer, you can get real apprenticeships at http://www.codercamps.com and learn to program in 9 weeks from professionals.